Essen is a rather important part of the gaming convention season. Unfortunately, a lot of us aren't able to get over to Germany for it. JR Honeycutt was able to, though, and he lists out his Top 10 things he saw while at the show. 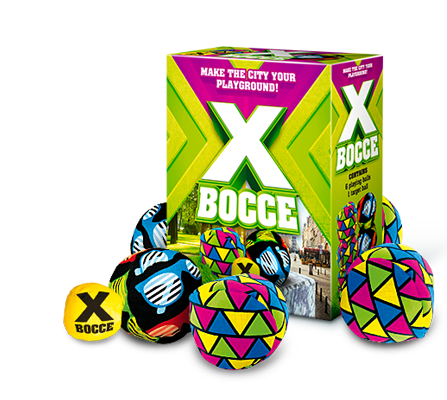 Technically, the game is called Xbocce, and the CCG component isn't out yet; however, this is one of the coolest games and booths I've seen at a convention. The Xbocce booth’s tables, chairs, and other decorations were covered in fake grass to make it appear like the interior of a home had been overrun by nature, driving home the point that the game can be played anywhere. Each player gets three soft juggling balls, and the first player gets a smaller yellow ball marked with an "x." If you've played Bocce, you know the general rules, but for me this was a new experience. The first player throws the yellow ball. Then, players take turns trying to get as close to it as possible with their Xbocce balls. HORSE-style rules apply, so if I threw the ball behind my back, over my shoulder, or under my leg, then you’d have to follow suit. This isn't exactly the prototypical hobby game, but the CCG aspect they're going to introduce seems really interesting. Each ball will be a character that can affect the game in material ways. If you're a sports fan and/or a fan of dexterity games, I think you'd dig this. Black Box Games' lone release, Lords of War, is a two-player tactical card game pitting magical forces against each other on the field of combat. Summoner Wars and Mage Wars own this market, but Lords of War introduces a directional component that materially changes the tactical decisions required to play effectively. The Black Box Games booth was packed every time I walked by, and the Kickstarter campaign for their latest release gained steam during the show as well. I normally don't advocate running a Kickstarter campaign during a major convention, but Nick and Martin seem to be doing fine. Lords of War is notable for its reliance on hand management and positional tactics that make for a rare experience on the tabletop. 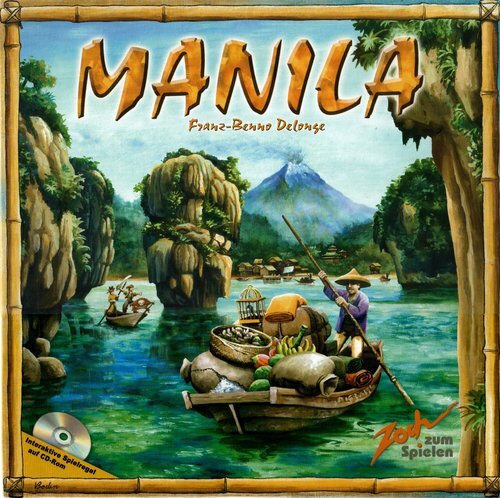 I first played Manila a few weeks before Spiel and fell in love with it. I looked everywhere for a copy, but found it was out of print in the US and cost over $100 for a used copy of the game. Imagine my surprise when I saw a giant banner sporting the box art at Spiel! I snapped up Manila for 20 euros and couldn't be happier about it. Zoch Zum Spielen has the rights in Europe, so it remains in print there. The new version doesn't have the beautiful wooden ships that stood out in Rio Grande's 2005 printing, but I'm still ecstatic to add a great game to my collection. In today's episode of "Liability Nightmares," I present to you four trampolines lashed together that children strapped to bungee cords jump across. This would never be a thing at a convention in the US, but it added to the distinct foreign feel of Essen. For a few euros, parents could strap their kid onto a giant springboard for a few minutes while they then relaxed and ate their bratwurst and crepes in peace. I don't think this will cross the pond, but if you're heading to Spiel in 2015, you might as well give "Giant Trampolines" a try. I love civilization-building games, and I also love Excel spreadsheets. Historia taps into both loves with a specific tenacity. Play is mostly simultaneous, as players choose actions from among a semi-restrictive set of cards that become more powerful as civilizations develop better technologies. Thematically, players are competing to gain military might (the vertical axis on the tableau) and cultural advancement (the horizontal axis) while controlling territories and building wonders. Historia lacks the exploration aspect of a true "4X" game (exploration, expansion, exploitation, extermination) but still manages to provide the general feel of the civ-building genre. I picked up Historia at the Golden Egg Games booth and got in a two-player game before I travelled home. It's a little tedious with fewer players, as those of you with experience in the genre might expect. However, the designer, Marco Pranzo, included "bots" that simulate additional players for 1- and 2-player games that seem particularly interesting. 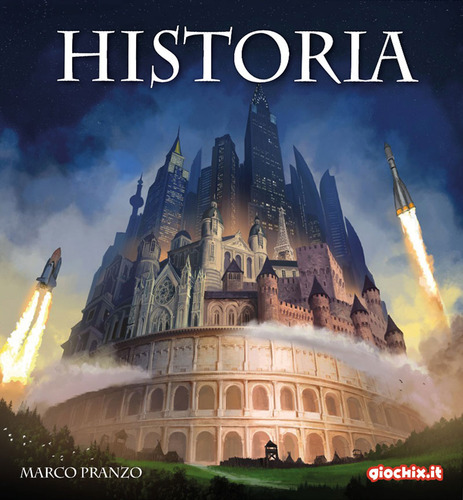 I recommend giving Historia a try if you're a fan of the civ-building genre and would like a tabletop alternative to Civilization that doesn't take four hours to play and leaves players with little down time. I'm a guy who loves a good meal, and I wasn't disappointed at Spiel. 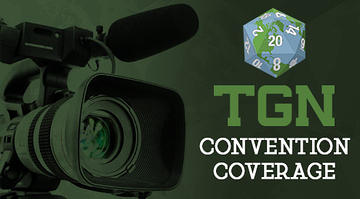 From brats to bottles of whiskey and crepes to cones, the vendors in Essen were head-and-shoulders above anything I've ever seen at a US convention. Two particular highlights were a full-scale Mongolian-style grill setup at a vendor booth and a full booth of nothing but bottles of wine and whiskey. I'm not a foodie, but I imagine those who attended were pleased by the choices at Spiel. When I get a chance to learn a game from the legendary designer who created it, I take that chance. Mike Fitzgerald spent his time at Spiel demoing Diamonds at the Stronghold Games booth—who also brought Kanban: Automotive Revolution and Panamax—, and I absolutely had to sit in on a game with him. I ended up running my own demo of the 2- to 6-player trick-taking game because I enjoyed it so much and wanted to share the game with others. 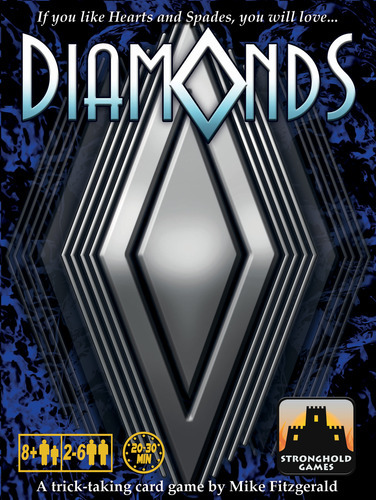 Diamonds adds a twist to traditional trick-taking games, like Whist or Spades, by introducing tokens that represent points scored. Players are working to gather diamonds and deposit them in their vaults before the game ends. They accomplish this goal by taking tricks and/or playing off-suit cards when possible. Diamonds is a ton of fun, and Mike was unbelievably friendly and patient while teaching me the game. As an added bonus, I got to spend quite a bit of time with Stephen Buonocore, the president of Stronghold Games. Stephen is a friend and fantastic contributor to our "Nerd Night" events, so it was neat to see his biggest show of the year. If the success of 7 Wonders, Takenoko, Tokaido, and Hanabi are any indication, there isn’t a game designer hotter than Antoine Bauza. I picked up Samurai Spirit at Spiel, and it looks fantastic. 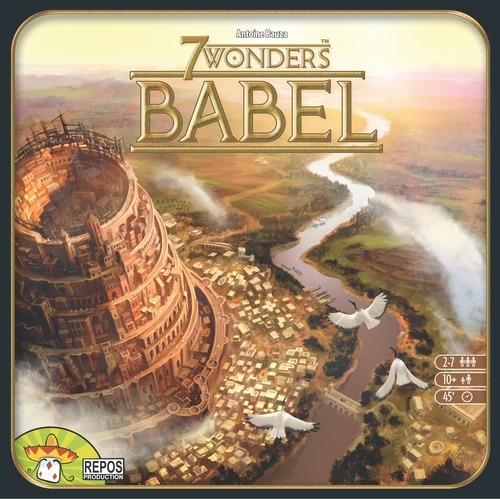 But the game I'm most excited for is 7 Wonders: Babel. Antoine gave me a brief run-down of the new double-expansion, and the various avenues for cooperative and competitive choices have me salivating. 7 Wonders is one of my ten most-played games, so I welcome the opportunity to freshen up the gameplay. 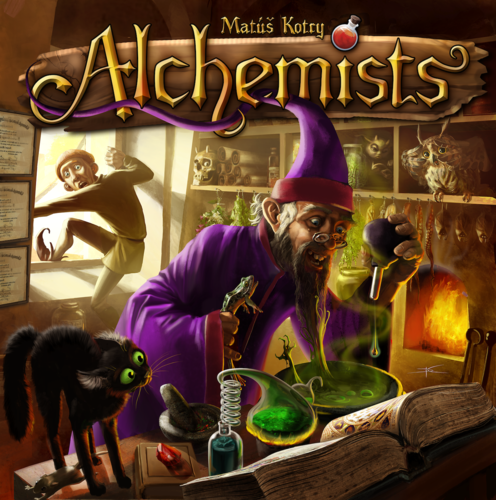 Alchemists by Czech Games Edition (CGE) generated the most buzz at the event. Alchemists is a 2-4 player game that tasks burgeoning chemists with discovering the secrets of alchemy in their labs. Players experiment with various ingredients in order to create and sell magical potions but have to balance their various needs and know when not to push their luck. The implementation with the free iOS app is perfect because it maintains various parts of the game for the players and provides a random element so no player has to GM the game. Though it wasn't an Essen release, CGE had a full booth dedicated to the Galaxy Trucker iOS app. At $7.99, the app is pricey in today's tabletop-to-tablet environment, but it's well worth the expense. Aside from the beautiful implementation of the core game, the app includes a cool, new campaign mode that gives players interesting choices about the progression of the game. I think it's one of the ten best iOS tabletop games currently on the market. After Asmodee bought Days of Wonder in September, I did a little research into the European company. A large portion of Asmodee was sold a few years ago in a deal that valued the distributer at over $200 million, a value likely greater than the entire hobby gaming industry in the United States—not including Hasbro/Wizards of the Coast, of course. Even with this knowledge, I wasn’t prepared for their footprint at the convention. Asmodee was everywhere. Their agents and marketing folks were at every party. Their games were at nearly every large booth. And they advertised events and meet-and-greets with well-known game designers the entire weekend. I saw 7 Wonders: Babel, Colt Express, Nations: The Dice Game, and other upcoming releases at the Asmodee Press event. Meanwhile, the Asmodee demo area allowed hundreds of players to try dozens of games that were on display. Keep your eyes open, my fellow Americans. Asmodee isn't resting on its laurels. A lot of the gossip I heard around the convention floor was predicting what their next acquisition target or strategic move might be. If you're a fan of the tabletop gaming industry and want to see great games designed by great people sold in great stores, then you've got to be cheering for Asmodee right now. Also, I ran into Richard Garfield in the hotel elevator, and my friend complimented his shirt. Anything is possible at International Spieltage!